The Internet of Things, called the IoT for short, is a new interconnection of technology heralded as the next industrial revolution—implying radical change, disruption, and an entirely new paradigm for the planet. Specifically, the Internet of Things is an extension of the existing connections between people and computers to include digitally-connected “things.” These things measure and report data. This data can be simple numbers from a stationary or mobile sensor (such as a temperature sensor), or more complex findings from devices that measure and report multiple data streams at once. These advanced devices can even actuate or effect the data they’re measuring (a connected thermostat is an easy example). Imagine measuring and managing hazardous environments without putting people at risk, and optimizing all physical environments for comfort and productivity while controlling energy costs. Now imagine monotonous tasks being automated and done by machines. For example, smart assembly lines could report misconfigurations and errors in real time, producing higher yields and less downtime. The result is more time for productive and rewarding work. This would drive higher employee satisfaction and retention, while dramatically improving profit margins. If you can analyze larger trends from empirical data, you can make smarter decisions. This takes assumptions out of the equation, giving you data-backed visibility into every aspect of your business. For example, testing cycles would radically shorten—lowering the costs to optimize a process. Additionally, the visibility into system behaviors can yield new insights and ideas, guiding your business like never before. At first, the above benefits from the IoT will impact your bottom line simply by reducing expenses and improving efficiency. However, it’s only a matter of time before IoT data analysis helps you realize new business functions—and thus new revenue opportunities. The IoT may be the “X factor” that gives many organizations a strategic advantage over the competitors in the next decade. The simplest possible way to make things smarter and connected is to add powerful Bluetooth enabled chips and connect them either to smartphones (iPhone/iPad, Android) or more advanced smart hubs. Our experience shows BLE (Bluetooth Low Energy) solutions as one of the most energy efficient and ideal for the case of wearable devices and personal electronics. Bluetooth chips and platforms that we work with: NordicSemiconductors, BlueGiga, Light Blue. 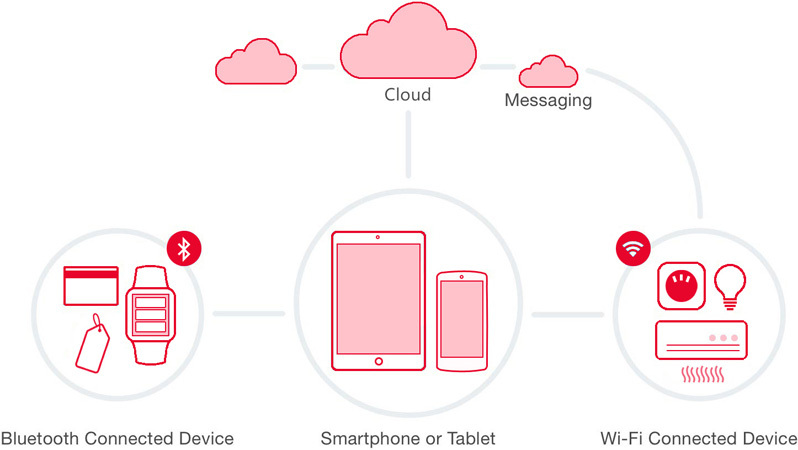 Other chips (Particle Photon/Electron, ESP8266, Electric IMP) give ability to utilise WiFi and cellular (2G/3G/4G/LTE) to connect devices directly to a cloud (like Google based Firebase and PubSub, ThingSpeak etc. ), monitor and control them remotely, collect and analyse data. Having device connected is not enough – it is important to analyse and display data that comes from devices. It can be connected to a smart dashboard on the web or have a personal application on a smartphone, which we have large experience building. Every hardware device starts from a prototype built with simple tools like Arduino, Photon, RaspberyPi/BeagleBone or other available boards and hardware components - goal is to validate the concept. This does not go without a proper firmware development. NodeMCU Firmware/Contiki/Riot OS/Free RTOS/Tiny OS/mbed ARM are all good candidates that we can build for. 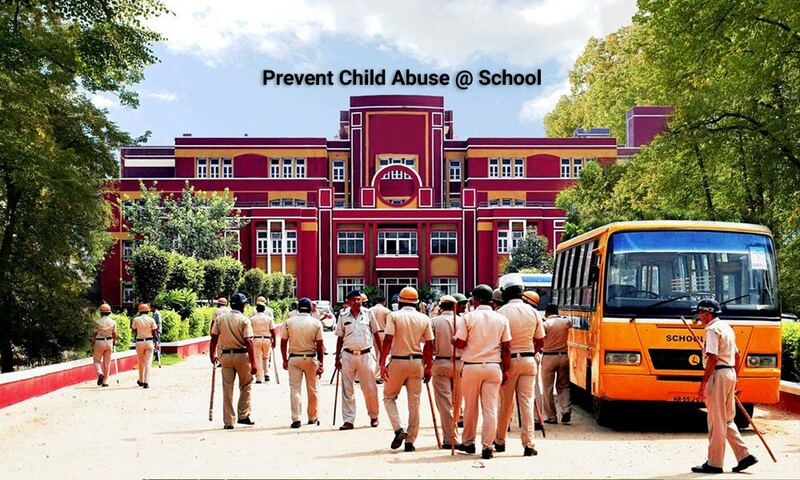 Child Safety at School will now be a preventive system unlike than CCTV based post mortem system. Our Child Safety Solutions warn the management just in time which is desired from childs safety & other perspectives as well. You can Define sensitive zones, set access restrictions etc.. Employee movement across the campus is retraced (upto one year), handy for your review / investigations.